Vicente Guallart was a chief architect (2011-2015) of Barcelona City Council with the responsibility of developing the strategic vision for the city and its major development projects. He also co-founded and directed the Institute for Advanced Architecture of Catalonia (2001-2011) where he led projects such as Media House Project (with MIT’s CBA), HyperCatalunya, or the Fab Lab House. His professional office, Guallart Architects has developed projects widely published like the ports of Fugee and Keelung in Taiwan, or the Sociopolis neighbourhood in Valencia and now it works in projects of several scales around the world. He is developing now projects in China, Russia. 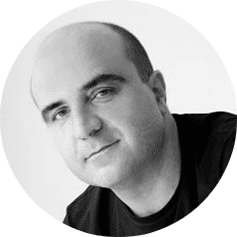 He is the author of books like Plans and Projects of Barcelona (2011-15) Geologic or The Self-Sufficient City and co-author of the Metapolis Dictionary of Advanced Architecture. His work has been exhibited at the Biennale of Venezia or NY MOMA. The American Institute of Architects organized in 2010 a solo exhibition of his work in Washington DC.